Positive signs may be creeping into the market, but the path to recovery will be long and sluggish, say industry experts. While the market expects to see marginal improvements in sale transactions in the second half of this year, many property consultants predict that it may take up to two years for buyers to find their footing once again. In principle, the recovery has already begun, they say, fuelled by improved economic conditions and higher demand for mid-priced properties. Also a boon is the fact that the ringgit has regained much of its lost value. Experts predict that the market could take up to two years to return to healthy standards. However, we are on a positive but slow trajectory. House prices are beginning to self-correct, and under normal circumstances this might be considered a buyers’ market, but purchasers are still holding back on new acquisitions due to their inability to secure adequate loans and lingering reluctance over the Goods and Services Tax (GST). According to a recent survey conducted by iProperty Group, this sentiment is likely to persist until late 2017 or 2018. In the immediate future, the market could remain flat over the next few months as buyers continue to face high loan rejection rates. Managing director and chief executive officer of iProperty Group Georg Chmiel said unless something fundamentally changes the economic climate, 2016 is likely to remain a challenging year for the sector. Despite this, he said the survey revealed some elements of positivity, in that 79 per cent of the respondents said they were interested to purchase property over the next six months. The survey also revealed that although Malaysians were concerned about the rising prices and affordability, property remains the most attractive investment choice – largely because it is viewed as more stable than other forms of investment. Other industry professionals have also dismissed 2016 as a “flat year”, expecting the pace to only pick up sometime in 2017. Dark clouds with scattered sunshine is the weather prediction for the next few months. CEO of property agency PPC International Siva Shanker said the market would “neither worsen nor improve” throughout much of the year, but added that there was no need to panic. “The property market would typically go through a cycle of bad years before a proper recovery,” Siva said, as such things are periodical and sometimes necessary. “I think we will start to see a little bit of activity coming back into the market in the next two years, but very slowly and hesitantly because of the elections. “And when that is done and dusted, barring any unfortunate set of circumstances, we could be surging forward again by 2019 and be robust once again by the psychological 2020 benchmark,” he said. Siva, who was formerly the president of the Malaysian Institute of Estate Agents, believes that there could be good news on the rental front. Those looking to rent can expect cheaper prices, he said, because the financial squeeze is forcing many landlords to compete for extra income to repay their housing loans. “I think we are going to see rental rates shoot straight down as homeowners compete with each other to rent their properties for income which they can use to subsidise their mortgages. Property speculators will fight tooth and nail to keep their properties and avoid defaulting on their loans,” he said. Managing director of development company Andaman Property Management Sdn Bhd Datuk Seri Vincent Tiew believes that for those with the capacity to buy, 2016 could be a good year to make a strategic investment given that prices are expected to rise by 2019 and 2020. He was referring to the potential oversupply of upmarket housing units. This could put added pressure on developers and speculators, which means it is reasonable to expect some choice deals to emerge in the market in 2016. On the sideline, market watchers are hopeful that the weakened ringgit and its subsequent steady recovery could entice more Singaporeans to invest in Malaysia, as this represents value appreciation on two fronts – currency and capital gains. 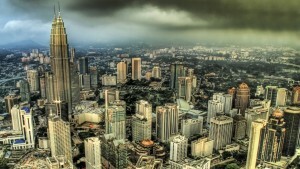 Indeed, Singapore Business Review recently reported that it might be time to “re-examine Malaysian properties”, especially with the ringgit’s recent strengthening. It said the currency is slowly finding its feet, which presents Singaporeans an opportunity to “stretch their dollar”. “When the ringgit is weak, property purchases are cheaper in Singapore dollars. As the ringgit strengthens, you gain on the increase in value,” the article said. “While the political issues in Malaysia are by no means resolved, the outlook is not all overcast – Malaysia is expected to see 4.5 per cent growth in 2016, slightly slower compared to the expected growth of 4.9 – 5.0 per cent for 2015, but still a growing market,” it said.